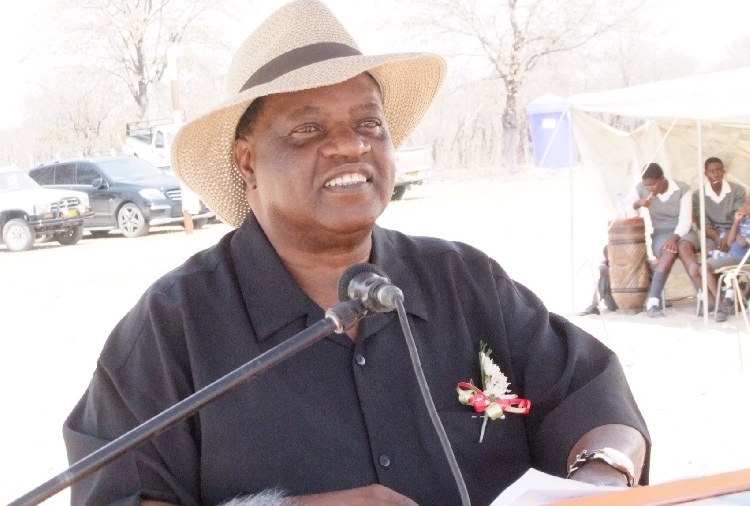 LAND reform minister Utoni Nujoma warned the government that cutting his ministry's budget for resettlement farms was not sustainable. Nujoma told the National Assembly on Tuesday that the budget was chopped by 45%. “The current allocation of N$384 million for land acquisition and allocation represents a 45% budgetary cut, and this is not sustainable,” the minister stressed. Out of the N$807 million allocated for buying farms in the last financial year, the ministry spent just N$290 million on 36 farms. The N$807 million was more than double the amount allocated for the same purpose in 2014. Nujoma said the land redistribution programme is a priority area for national development, and if fully supported by adequate resources, it has the potential to respond immediately to the goal of poverty eradication. Before putting across his concern over the reduced budget, the minister acknowledged and appreciated the social economic frame under which the budget has been formulated and the demand to accomplish more with less resources. In 2015, the ministry acquired 183 000 hectares, which is equal to 36 farms. The plan for the 2015 financial year was for the ministry to buy land worth N$336 million, but they only spent N$290 million on acquiring farms. This, according to Nujoma, shows a 98% success rate for the state, which has been accused in the past of being selective on what farms it bought. “In this regard, 57 families were resettled during the period Apri1 2015 to February 2016,” he noted. It is not clear whether the reduction of the budget to buy farms for the government will impact on the grand plan of acquiring five million hectares in four years. The government has been accused of spending less on buying farms. For instance, from 2003 to 2012, government allocated N$50 million in the national budget for the purchase of land for the resettlement programme each year. The ministry has a five-year plan which stretches up to 2020 with goals of acquiring 5 million hectares of land. The total size of land acquired so far since independence stands at 408 farms (2 million hectares) that was bought for N$1,4 billion. “The ministry still has to acquire 2,1 million hectares to realise its target by 2020,” Nujoma said. The ministry also developed fences and installed water and livestock handling facilities at farms in the Kavango East, Kavango West, Omusati and Ohangwena regions. Another key aspect of the ministry is the digitalisation of the department that keeps records of all properties in the country. Nujoma said close to 22 000 transactions were registered at the deeds office in the last financial year, bringing in N$6,3 million in the process during that year. The minister also spoke about the progress being made regarding the computerised deeds registration system. “This project is important because it will bring about increased efficiency in property registration in Namibia,” he said, adding that N$6,3 million had been allocated for it this year.